Colliding with a UPS truck can cause significant injuries due to the weight and size of the vehicle, especially when it is loaded with parcels. However, determining who is at fault for the accident can be complicated, where liability may extend farther than the delivery vehicle operator. Rosenfeld Injury Lawyers LLC represents individuals and families involved in serious injury and wrongful death cases involving UPS trucks. If you believe the negligence of a UPS truck driver is responsible for a crash that caused you harm, we encourage you to contact our office for a free review of your case. As with all of our trucking lawsuit cases, we work on a contingency fee basis where a legal fee is charged only when we recover compensation for you. UPS (United Parcel Service) is a global operation, recognized as one of the largest parcel delivery companies in the world. 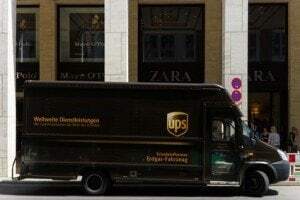 In Illinois, many residents and visitors recognize the UPS delivery truck by its dark brown color and contrasting gold shield logo. Like its competition, UPS moves cargo and freight in a variety of different sized vehicles that include tractor-trailers (semis), 18-wheelers, commercial box trucks, and vans. The company began in 1979 and is now a leading worldwide provider of logistical services and specialized parcel transportation around the globe. UPS remains profitable because it uses advanced technology for managing and transporting parcels. Through an integrated network of workers, advanced technology, physical assets and continuing access to global resources, UPS remains one of the most influential businesses in the world. United Parcel Service went public in 1999 offering shares on the stock exchange. Stock offerings help the company significantly expand its abilities to become an industry leader in air and trucking freight. Since going public, the company acquired over 40 different companies including business and retail shipping services, international trade, finance, and customs brokerage. Over the last few decades, UPS has expanded its services to a worldwide stage including sending and receiving deliveries in Asia, Europe, and South America. The United Parcel Service Corporation headquarters is located in Atlanta, Georgia. In the US, 9260 drivers operate 6298 delivery trucks. In the last 24 months, UPS drivers have been involved in almost 1500 crashes with 548 involving injuries, and 36 accidents with fatalities. Because of the millions of miles traveled by UPS drivers every year, it is not surprising that there is a high rate of accidents with injuries involving other motorists on the road. The average weight of a UPS delivery truck ranges between 16,000 and 24,000 pounds. However, a UPS 18-Wheeler with the trailer fully loaded can weigh upwards of 80,000 pounds. Even following the rules and regulations, there are expanding numbers of injuries and fatal accidents every year involving UPS delivery trucks. In most incidences, an accident with UPS truck involves a variety of entities and individuals. In many collisions, motorists and passengers in other vehicles suffered severe injuries. Many of these injuries might have been avoided if the UPS truck driver had been properly and adequately trained. Often, the truck is overloaded, causing brake failure or challenges when attempting to maneuver the vehicle in hazardous road and weather conditions. Proper training often means a difference between a fatal accident and the near miss. With the excessive number of miles driven by UPS drivers every year, shifting loads, adverse weather conditions and common distractions every driver faces during the day magnifies the potential of severe collisions with others on the road. 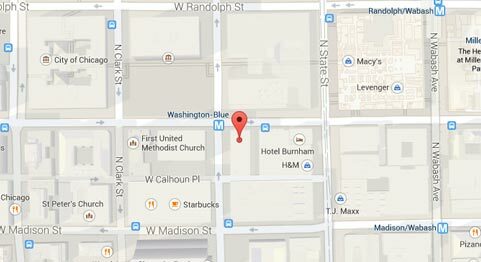 Rosenfeld Injury Lawyers LLC offer no-obligation legal consultations to victims of a UPS truck accident in the Chicago area. The law firm reviews merits of the claim and specific details before recommending the best course of action to pursue a legal claim against UPS and any third party that is legally liable. Our Illinois truck accident attorneys offer constant care and aggressive effort to ensure your maximum recovery. Contact us today.